We don’t celebrate in a huge way at Easter time. We just try and get together with family and enjoy the last of the sunshine before the cold days set in. 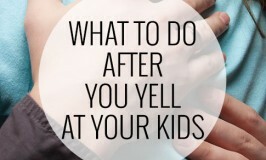 Because we don’t want our kids to eat a lot of chocolate we try not to give a lot of chocolate either. In the past we’ve given rice bubble treat eggs, Egg-citing Egg-bag People, and decorated Easter biscuits. 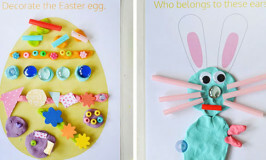 This year we are keeping it super simple and just giving a kid-made card with a small chocolate Easter Bilby attached . (because rabbits are not our friends around here). 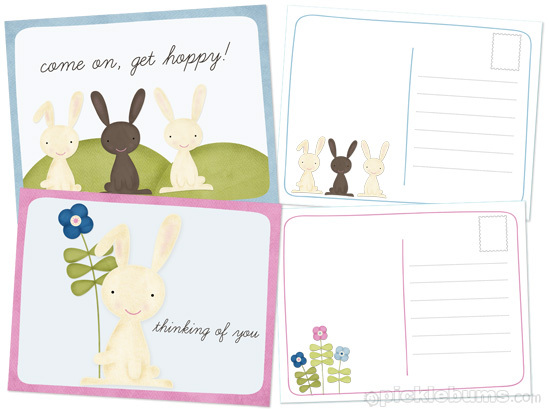 If you need to send a little Easter cheer to someone, or you need a super simple gift, I’ve designed two printable Easter postcards. 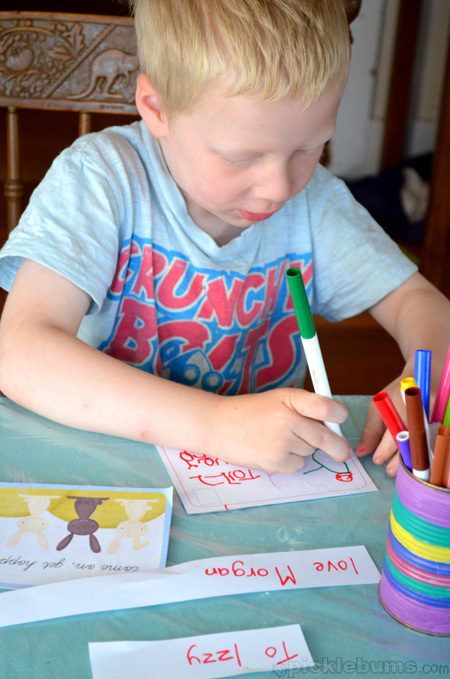 You could print them and pop them in the mail to send a special message to someone, or attach them to a small gift, or just write a note to your sisters after an argument, like my big boy did. You can download the zip file containing two .pdf documents (front and back) here, or click on the image above. Thank kate, my mr 3 is so into writing letters at the moment. He will love this. These are so adorable Kate. Great idea.